Regardless of what significance we assign to our intellect or brainpower, it is but one form of intelligence, and while it has an important place within our world, no doubt, it is not the primary intelligence of our Self. 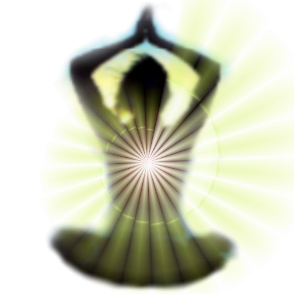 Our primary intelligence is empowered through our emotional mastery and our ability to conduct our life from the platform of the six heart virtues, which in turn unite us to the lighted realms of our intuition, which is our coherent connection to the universal field of information, referred to by physicists as the quantum vacuum. There is a saying within the Lyricus Teaching Order: “What one can express through their heart is gold to the iron of the mind.” The gold, in this case, is the ability to express the six heart virtues in tandem, separately, or as an ensemble team to the various situations that life unveils. It is learning to modify your actions based on these six virtues and observing how they re-calibrate your value system, re-vitalize your energy and creativity, and re-coup your sense of balance and emotional poise. In doing this, you not only apply your emotional energies for the purpose of creating and maintaining a coherent personal state, but you also create a coherent field around you; a field that touches and intersects with others through the principles of quantum entanglement, resonance, coherence, and non-locality. The energies of our emotional field are real and interconnected in a vast assemblage of intention and information that is near boundless in its embrace. The denser emotions like jealousy, greed, and anger enter this cosmic field and inform its baser instincts, creating the conditions for strife and instability within our manifest reality. 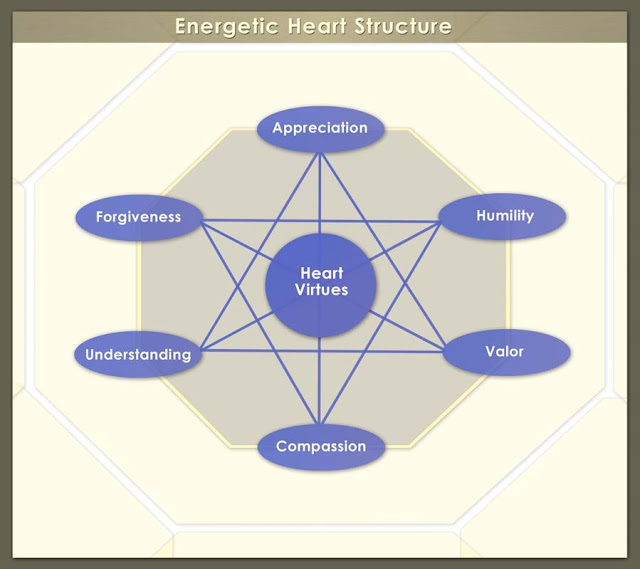 The finer energies that compose the six heart virtues, inform the divine instincts of the cosmic or quantum field that enfolds the multiverse. Thus, we are left with a choice to conduct our personality and emotions so they inform the quantum field in which we all live with the divine frequencies that uplift and support all life. If this is our choice, then mastery of the six heart virtues is an efficient and effective method for its attainment. It comes down to this: we approach our divinity through the heart and not the head. One’s intellect can encompass vast amounts of information and knowledge. We can study all the words of our prophets and scholars, but if we are not expressing the six heart virtues, we have only filled our heads with words, concepts, and intellectual bravado. Our behaviors remain tethered to the baser instincts, and while we may write or speak profound insights, our emotional energies remain agitated, uncertain of their expression from moment to moment, and unguided by the intelligent voice of our heart.